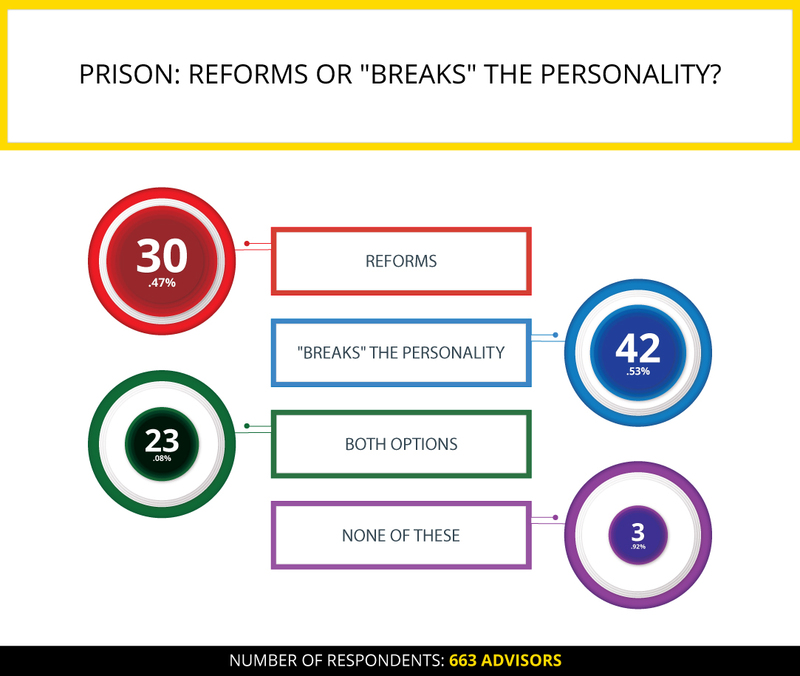 Prison: reforms or "breaks" the personality? Men and women gave the most votes for “breaks personality” - 157 male votes (42.77% of all votes from this group) and 125 female votes (42.29% of all votes from this group). Women voted most often for “none of these” option, - 14 female votes and 12 male votes. Users over 50 gave 58.33% of all their votes for “breaks personality”. Users between the ages of 36 and 50 gave almost the same ratio of their votes for this option - 58.62% of votes. Twitter, the winning option, overtook silver winner, Berkshire Hathaway, by 108 votes. It is interesting that they gave 1 vote less for the bronze medalist - 107 votes. Users over 50 gave 45.83% of their votes for Twitter, and 41.66% for Berkshire Hathaway. Users between the ages of 18 and 25 almost did not vote for Pfizer - this company received from them 4.43% of all votes. 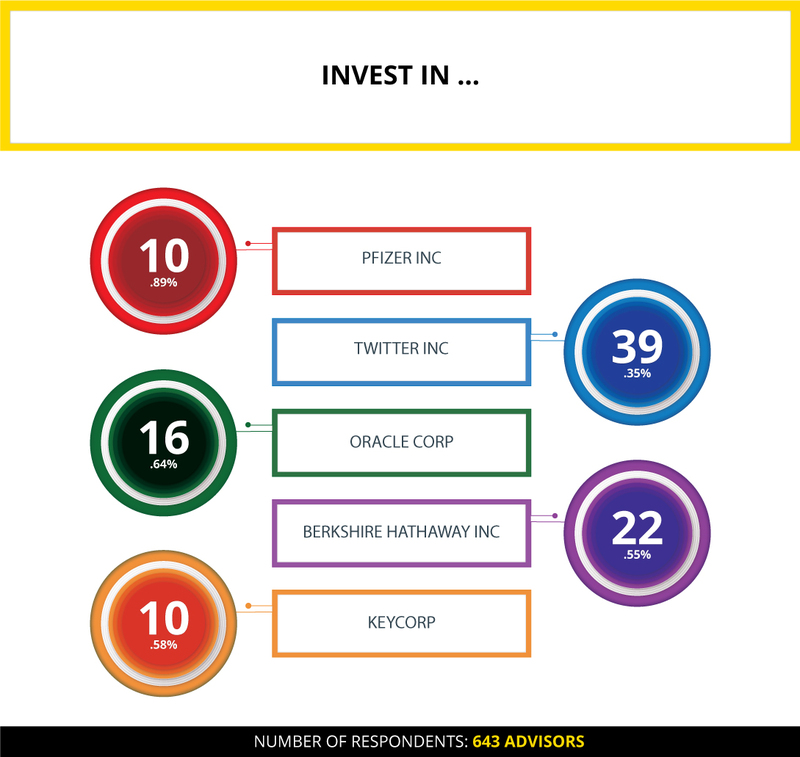 It is worth noting that this group of users chose Oracle more often than Berkshire Hathaway - they gave 19.56% of all their votes for the first option, and 15.21% of votes for the second option. Funny skill: solving the Rubik's Cube or juggling? 20 men and 18 women (only 5.89%) don't find any of these skills funny. Exactly 3 times more users voted for “both options” - 66 male votes (57.89%) and 48 female votes (42.11%) were given for this option. Users between the ages of 18 and 50 gave 44.41% of the sum of all their votes for the “juggling” option. At the same time, users over 50 are the only ones who more often chose another option. The “Solving the Rubik's Cube” option received 41.66% of all their votes, and the “juggling” received 29.16% of votes. Which movie is better: “The Lord of the Rings” or “Harry Potter”? Men gave 43.26% of all their votes for “Harry Potter” and 30.08% for “The Lord of the Rings”. Women, in turn, gave 42.21% of all their votes for “Potter” and 31.14% for the “Lord of the Rings”. The younger generation between the ages of 18 and 35 more often chose “Harry Potter” - they gave 47.10% of all their votes for this option. But users over 36 more often chose a series of films based on John Tolkien’s novels “The Lord of the Rings” - in total, they gave 39.28% of their votes for this option. Who has a more complicated character: men or women? In this question, most of the votes were given for “women” option. At the same time, men more often than women chose this option - 268 male votes (57.14%) against 201 female votes (42.86%). It is also worth noting that women more often chose “both options” - 51 male votes and 64 female votes. Users over 50 gave 87.5% of all their votes for “women” and only 4.16% for “men”. At the same time, like users between the ages of 18 and 25 they ignored the option "none of these." Most of the male representatives believe that women are often more complicated. Despite the fact that the number of women's votes was less, it did not prevent them to give more votes for "Cannes film festival" option than men did. The men decided the outcome of the debates. They gave the most votes for the "traditionalist family". Young people almost didn't vote for "alcoholism" option. In this debates, it is worth noting how women distributed their votes among the options. In this debates it is worth paying particular attention to women's answers. Men gave the majority of the votes for "all options". Users between the ages of 18 and 25 gave the same number of votes for the leaders options-their share in both of these options is 27.94%. Men have the majority of votes in 4 out of 5 options in this unusual question. Men believe that children should know the truth about Santa Claus, while women prefer to tell them this fairy tale.